We are hiring for Sr.VP- HR for our client based in Bandra Kurla complex, Mumbai. Kindly read details and apply. Employee will be responsible for providing an effective and efficient human resource generalist, Recruitment & Compliance function that is aligned with departmental and company strategic goals. The Employee will be expected to successfully implement HR strategy and deliver customer service within the organization. The responsibilities will include organization design, recruitment and selection, salary and benefits management, employee relations, talent retention, change management, skills development, policies and procedures, HR reporting, HR projects and managing staff. 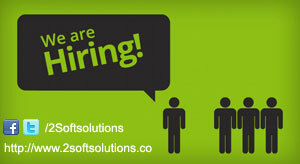 If your profile is matching to job details, send your resume on jobs@2softsolutions.com along with following details.